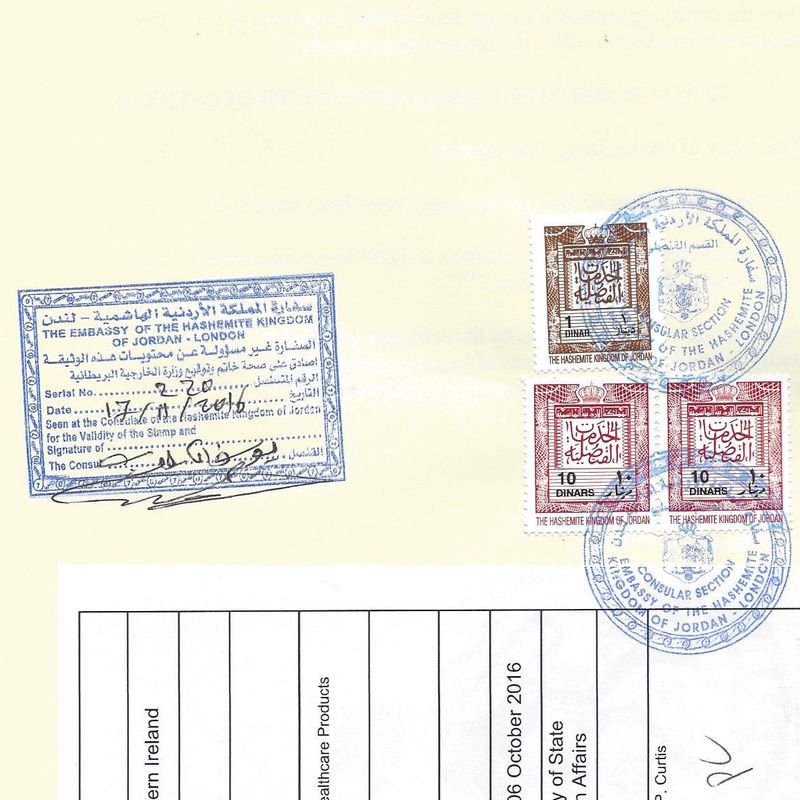 Documents for Jordan require both the UK apostille and Jordan embassy attestation. The Jordan embassy operate two different services depending on whether your document is a ‘personal’ document or a ‘corporate’ document. Experts in processing personal documents with the Jordan embassy in London. We undertake the correct steps to ensure your documents are legally recognised in Jordan. Dealing with commercial matters in Jordan often necessitates the attestation of your company documentation. Using our Jordan legalisation service makes the process simple. We include the apostille, embassy attestation and administration fees in our charges. We offer a 'one stop' solution for businesses working in the Jordan. What does Jordan attestation look like? Any UK document being legalised for use in Jordan will need to be legalised by the UK Foreign and Commonwealth Office as well as the Jordan embassy.